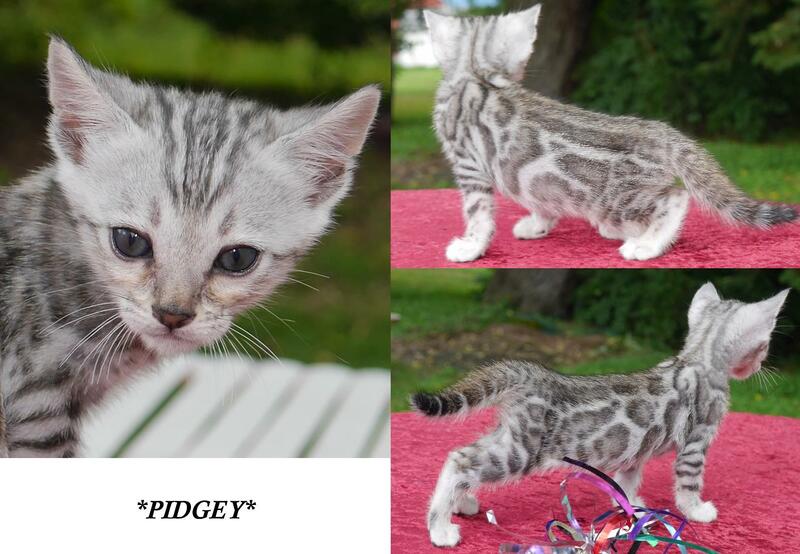 Our silver rosetted little girl Pidgey has a wonderful chaotic large rosetted pattern and is as sweet and loving as her mom. 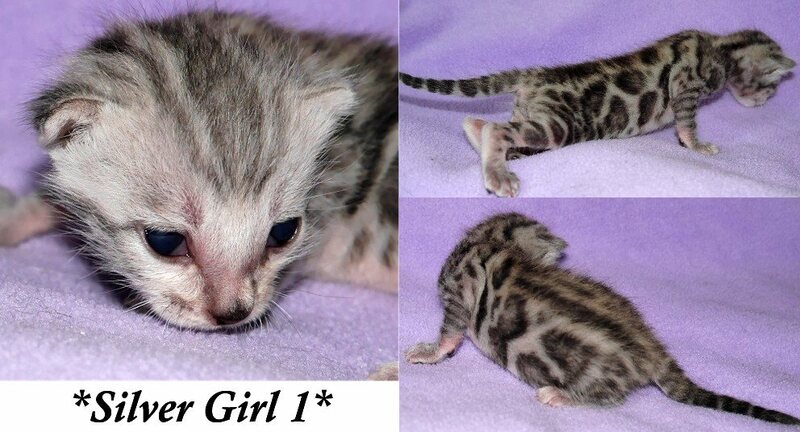 She is showing some potential as a breeder/show kitty so she will be under evaluation for a bit longer. 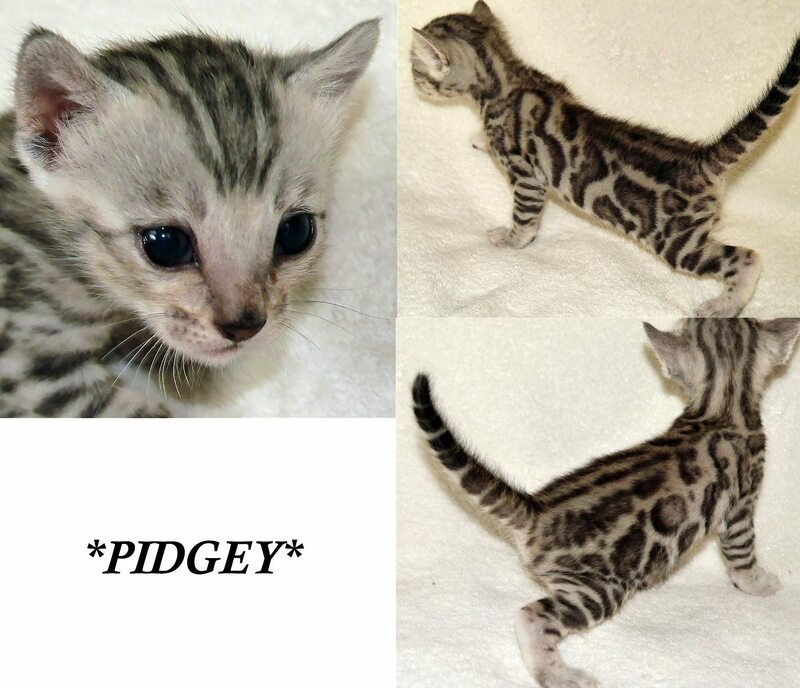 Video of Pidgey playing at 8 weeks! Named after the charactor, he is a small, plump-bodied avian Pokémon! Though rather than primarily brown with a cream-colored face, our kitty is a wonderful and soft grey. THe Pidgey has an extremely sharp sense of direction and homing instincts. It can locate its nest even when far removed from familiar surroundings. It is a docile Pokémon, often preferring to flee from its enemies rather than fight them. By flapping its wings rapidly, it can whip up dust clouds and create whirlwinds to protect itself and flush out potential prey. Commonly found throughout its range and can often be seen in meadows. This entry was posted in Bengal Kitten Gallery. Bookmark the permalink.